On September 20, 2016 Suffolk County Executive Steve Bellone was joined by regional water quality experts and environmental advocates to announce that for the first time an on-site advanced wastewater treatment system has been provisionally approved for residential use in Suffolk County, marking a significant moment in Suffolk County’s Septic Demonstration Pilot Program. The program is part of the County’s Reclaim Our Water initiative, which is designed to eliminate the region’s nitrogen pollution crisis through the installation of advanced on-site wastewater treatment systems and sewering where viable and appropriate. “Thanks to the leadership of County Executive Steve Bellone, the Suffolk County Departments of Health and Planning the water quality of the county will now, with the use of these emerging technologies, improve into the future,” said Suffolk County Legislator Al Krupski. “This is an exciting moment for anyone interested in reversing the degradation of our waterways. Individual homeowners will now be able to join the fight against red tide and water contamination. I’m grateful to join with all those in county government whose hard work has made this milestone possible, and look forward to continuing to work together for the health of our waters,” said Suffolk County Legislator Bridget Fleming. “As Co-Managers of the Long Island Nitrogen Action Plan, the Long Island Regional Planning Council salutes Suffolk County and County Executive Bellone on its initiative of advancing state-of-the-art onsite wastewater treatment technology for the purpose of reducing nitrogen discharges into our ground and surface waters. The County’s approval of the first commercial installation of Innovative/Alternative technology will enable the County to thoroughly evaluate the effectiveness of these systems and to assess the operational reliability in actual residential applications,” said John Cameron, Long Island Regional Planning Council Chairman. The approved system, manufactured by Hydro-Action Industries, was one of the initial technologies to be used when the Septic Demonstration Pilot Program launched in December 2014. The system has reduced nitrogen levels to 19 mg/l for six consecutive months effectively. Currently, more than 14,000 of these particular systems have been installed in homes throughout the Midwest and in Maryland. Suffolk County has granted provisional residential approval for the installation of the Hydro-Action system. Any single-family homeowner will be able to install this specific system at their home without having the apply for a a variance from the Suffolk County Department of Health Services. The department will continue to monitor performance of these systems for at least two years with bimonthly samples before general approval is issued. The approval of the Hydro-Action technology is based on the state of Massachusetts’ regulatory model. The announcement comes nearly six weeks after Suffolk County Executive Steve Bellone signed Article 19 of the County’s Sanitation Code in law, granting the Suffolk County Department of Health Services the authority to formulate procedures and protocols in order to approve the use of wastewater treatment systems throughout the county. The amendment also established procedures to ensure that the alternative wastewater treatment systems will function in the long-term and to monitor its effects on the environment. Since the launch of the Suffolk County Septic Demonstration Pilot Program, more than 330 Suffolk County homeowners have entered two lotteries and 39 homeowners have been selected to receive a free system – which includes free installation, monitoring and maintenance for five years. 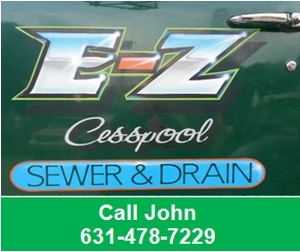 Suffolk County has more than 360,000 individual cesspools and septic systems – more than the entire state of New Jersey. As part of the solution, clean water experts project that tens of thousands of onsite wastewater treatment systems will need to be installed throughout the county to effectively treat the region’s declining water supply. The announcement came during National Septic Smart Week, designated by the United States Environmental Protection Agency. For more information on the Septic Demonstration Pilot Program and the County’s Reclaim Our Water initiative, log on to www.facebook.com/stevebellone or www.suffolkcountyny.gov.